#1. 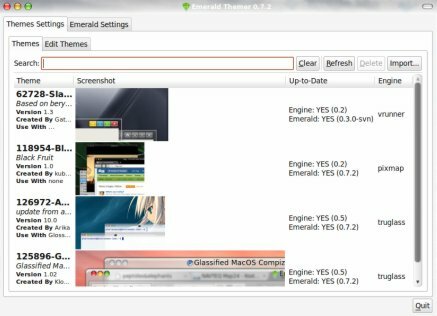 Open emerald theme manager from System->Preferences->Emerald Theme Manager. #2. Now click on import and browse to the directory where you have saved the themes(download link is given above) and click on Open. #3. Then select the Theme and change the windows effects. (If emerald is not running then run emerald –replace command in ubuntu terminal).